The Brewers Yard scheme is proposed for ten acres of brownfield land neighbouring University of Wolverhampton’s Springfield Campus. It will see a mixture of 1,100 city houses and apartments, and 60,000 sq ft of new retail and commercial space, designed by award-winning Glancy Nicholls Architects. The scheme is aiming to deliver high-quality, affordable living in what will be some of City of Wolverhampton’s tallest towers, set alongside outstanding public realm. The development will also sit just a few hundred metres from the city’s new transport Interchange, providing quick, direct access to Birmingham, London and Manchester. It is a joint venture between developer Court Collaboration, City of Wolverhampton Council and West Midlands Combined Authority, with works set to start on site in 2020. The expected economic benefit to the City of Wolverhampton from the scheme is £250 million (Gross Development Value). Anthony McCourt, CEO and Founder of Court Collaboration, said: “This is a real opportunity for the private and public sector to work together to bring forward and make viable a huge development opportunity. “Brewers Yard oozes confidence and style throughout and it will be fantastic to bring this to the next stage of feasibility with the focused and unwavering support of City of Wolverhampton Council and the Combined Authority. Councillor John Reynolds, Cabinet Member for City Economy, added: “This is a real game-changer for the City of Wolverhampton. 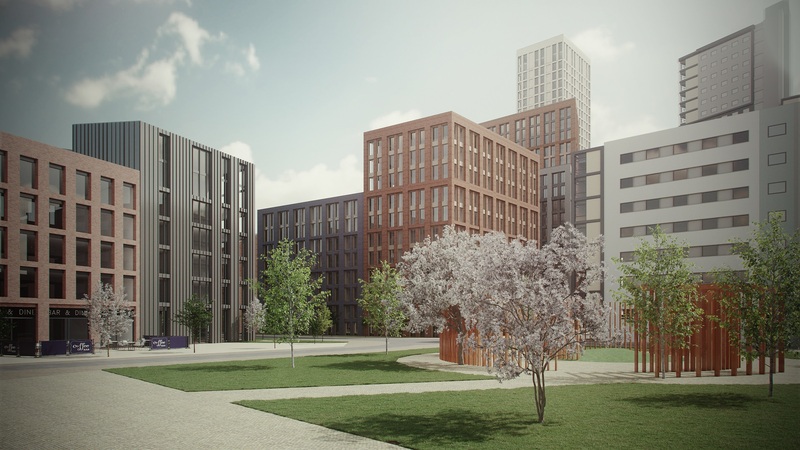 “The Brewers Yard development will deliver top-quality living at the heart of our city, with connectivity to state-of-the-art transport facilities. “It will have easy access to a re-invented city centre providing a great leisure and sporting offer, a vibrant public events programme, outstanding arts and culture offer, and a thriving commercial district with well-paid jobs. The Brewers Yard scheme is also set to deliver hundreds of permanent new jobs, more than 1,000 construction jobs, and built environment apprenticeship and training opportunities for University of Wolverhampton students. Brewers Yard is one of 24 diverse development opportunities featured in the region’s Investment Prospectus, which has been launched at MIPIM by Mayor of the West Midlands, Andy Street. The Mayor said: “It’s great to see the West Midlands Combined Authority (WMCA) working in partnership with the City of Wolverhampton to help deliver this exciting scheme.